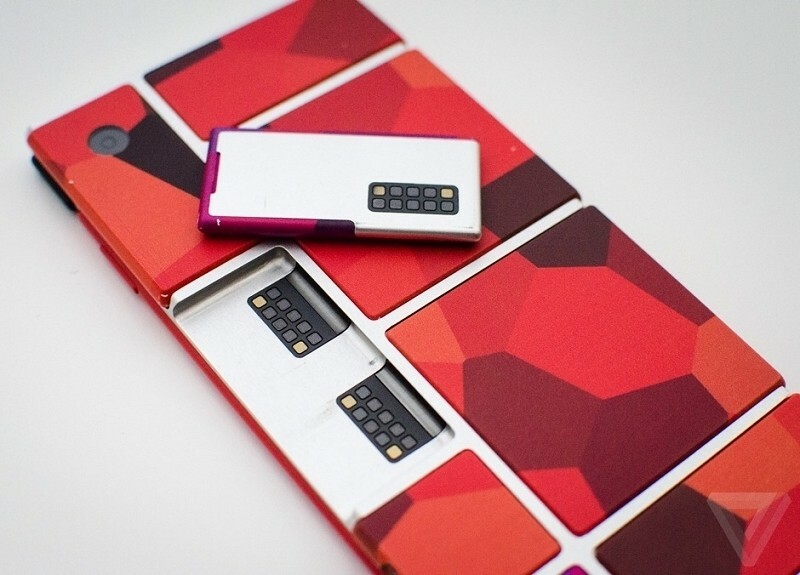 Google’s modular smartphone platform is slowly taking shape. Toshiba, one of the third-party companies working to develop modules for Project Ara, recently showed off two prototype camera components for the ecosystem. The cameras on display include a 2-megapixel module for the front of the device as well as 5-megapixel and 13-megapixel shooters for the rear. I do wonder, however, if a user could add the 13-megapixel module to the front of the handset if they wanted. Like most of Project Ara’s modules, the cameras in question are self-contained blocks that attach to the base handset. By simply swapping out camera modules, users will be able to improve the quality of their images – or elect to go without a camera altogether to free up room for a larger battery or other desirable components. Shardul Kazi, senior vice president of Toshiba America, said they’ve been working with Project Ara for more than a year now. On Toshiba’s website, I found solutions for several other module types such as a Media Bar module, Transferjet module, Wi-Fi module, a display module, a solution for wireless communications module and a solution for activity measuring module. In January, Google revealed that it plans to launch a pilot program for Project Ara later this year in Puerto Rico. At that time, Google said it had developed 11 modules for the platform. A full-scale rollout is expected sometime in 2016.